14K gold. 3/4" in diameter. Bend open/ close. 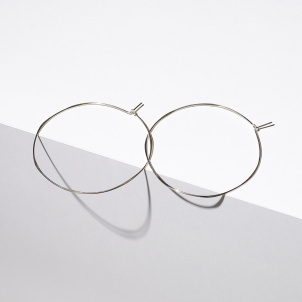 These dainty, versatile hammered hoop earrings add a classic, modern touch. From Fail Jewelry based in Austin, Texas.